Why not to make a unique consent if you need something special for your website? Create your own request consents for visitors that are specifically applicable to your website style. 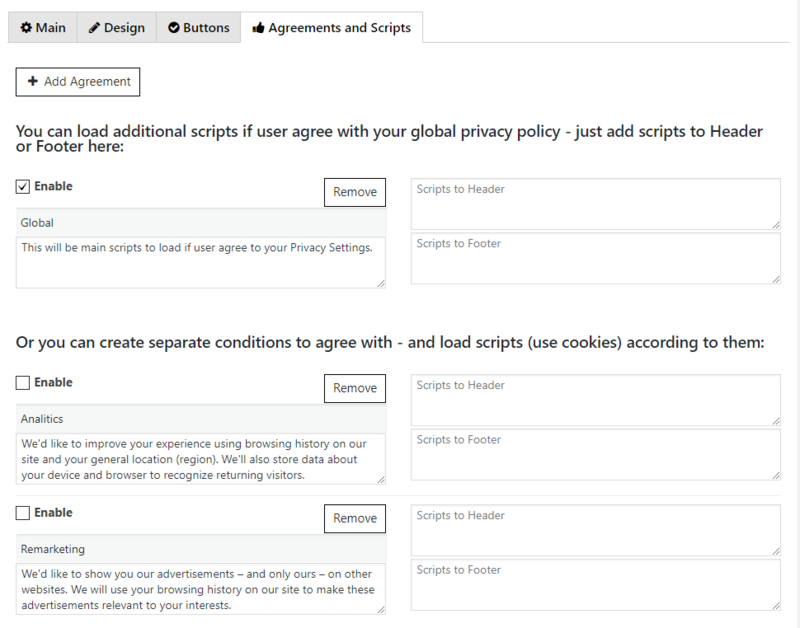 Move to GDPR Cookie Consent/ Settings/ Main/ Message to show to Users. Fill the description of Agreement that user will see in notification and will be able to agree with. Here you can add any media, text, link etc. It will appear in your Cookie Tab. Plugin requires no knowledge of HTML or CSS. It couldn’t be simpler. Couple clicks, your fantasy and your own custom consent is ready.